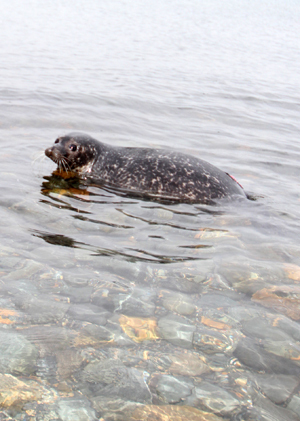 EXPLORIS Aquarium in Portaferry has released one of its rescued seal pups. With squally weather conditions and the wind whipping over the Lough, Puck the common seal had an important day in front of him today (18 October). 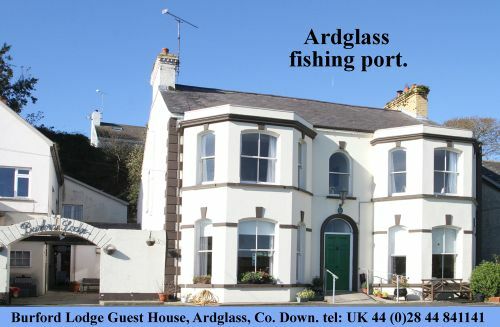 Judith Caldwell, Exploris aquarist, and Tania Singleton, senior aquarist, release Puck into Strangford Lough. His aquarist minders had given him a final check over, and he was good to go back into the wild. Senior Seal Rehabilitation Officer Tania Singleton said: “Puck got his name after a moon of the planet Uranus. He was rescued at the beginning of June from Belfast docks and has been nursed back to full health by Exploris staff over the last few months. A big day for Puck the common seal. 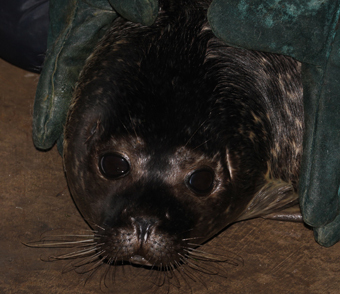 Before release Puck was micro-chipped and a patch of pink paint applied to his coat.”The pink paint affords a simple visual check at a distance when seals are sighted. Th epaint will stay on his coat fro about six months and if he is spotted around the Lough or at sea they we may hear that he is doing well. The micro-chip ensures that Exploris hears if any of its former residents are reported injured or dead,” added Tania. Puck was then put into a big plastic drum and lifted into the back of the van, and the two aquarists drove him up the Lough shore to a quiet, safe haven for his release. At first, he looked around as the big bin was turned over, and then he was the master of his fortunes from there on in. After looking all around him, he lumbered to the waterline and dropped his head into the cold water. Great he thought. This is it! He gradually slid into the lough and submerged and resurfaced a few yards out in the chilly waters – but, not chilly for him with his layers of blubber. Puck swam around for a while checking out a few boulders to get his barings. Then he was off! Puck looks back for a final glance at the aquarists from Exporis Aquarium who cared for him as a pup. Then he was off! 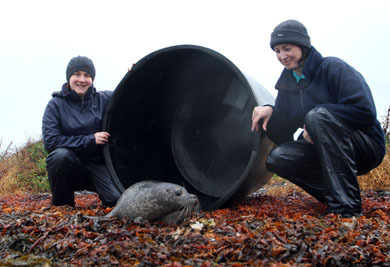 Helena Challinor, Exploris general Manager, said: “Puck was our 311st seal released. We have over the years rescued over 400 seals in total. Puck certainly looks in great shape and has taken to the water well. It is always gratifying to see them go back in their own environment in good health. Grey seal pupping season is well under way around our shores. Over the next few weeks, members of the public may well see seal pups on the shore that appear to be on their own. In most cases the pups are fine and mother seal is not too far away, however, Tania urged the public to take appropriate action if they do see a seal pup they think is in distress. With Puck released, Exploris has twelve seal pups, eight common seals and five grey seals, in the Exploris Rescue Centre. Visitors are able to view their rehabilitation at close quarters in the pens and at the outdoor pools where seals are fed daily at 4.00pm.